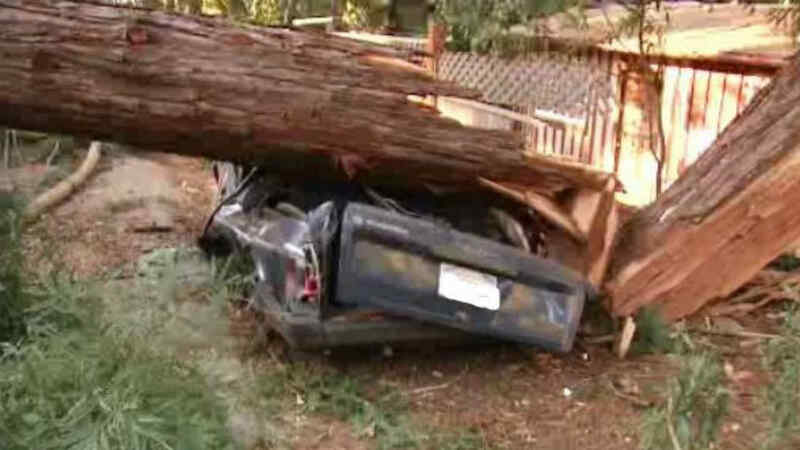 REDWOOD CITY, Calif. (KGO) -- A tree crushed a car and brought down power lines in Redwood City Saturday afternoon. One car was completely crushed by the tree after it fell across the road near Skyline Boulevard. Power was cut to the area and PG&E was on the scene to repair the lines.